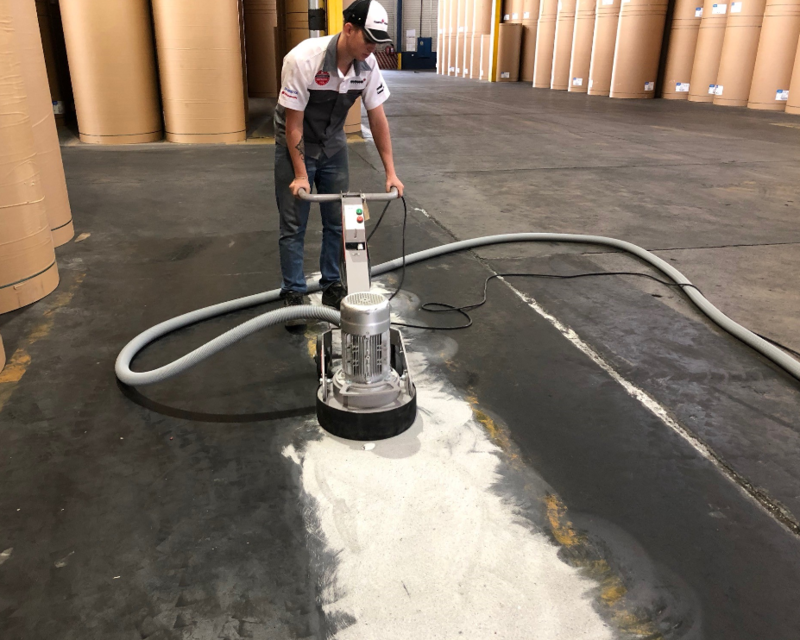 Specialist diamond tool and machine supplier, Diamond Products, has launched a revised version of the popular 300E concrete floor grinding system. The improved, versatile single phase machine weighs 70kg and when used in conjunction with a Balstrac Vacuum system, the operation is dust-free. The machine is ideal for the South African construction industry and climate. It uses an adapter plate with six diamond wings, making it efficient and extremely cost-effective. The 300E can carry out coarse to medium grinding as well as use PCD cutters for tile glues and carpet glue removal. The system has also been designed to remove bitumastic-type materials and waterproofing coatings. Typical uses of this system would be for the grinding and preparation of the concrete floors for resin and cementitious based coatings, carpeting, laminated flooring, wood flooring and epoxy coatings. The system is complemented by a unique range of power tools for smaller projects as well as a comprehensive range of Blastrac vacuum systems.